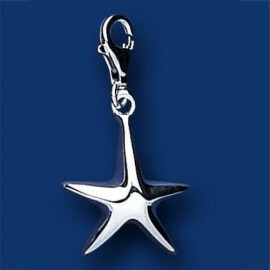 Carlo Biagi and Chrysalis Sterling Silver charms, bracelets and necklaces. 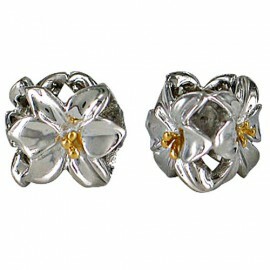 Silver Charms & Bracelets There are 76 products. Carlo Biagi and Chrysalis Sterling Silver charm bracelets. We have a selection of both Carlo Biagi sterling silver charm bracelets and Chrysalis sterling silver charm bracelets. Carlo Biagi bracelets are compatible with other brands such as Pandora and will accept all the sterling silver charms and silver plated charms that we sell. 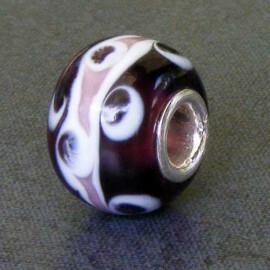 Other European style threaded beads as well as most other European 3mm charm bracelet beads will also fit. Biagi bracelets feature a strong “double-action” locking clasp making them very secure. Note that some of our Biagi bracelets have a screw thread at the end and others have a plain end. Used in conjunction with a threaded charm, the “screw thread” bracelets stop beads falling off the end when you take the bracelet off your wrist. 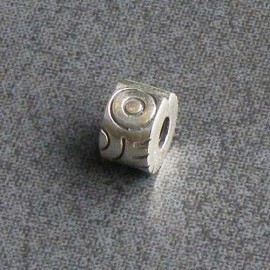 You can also buy stop beads which clip onto the bracelet to prevent beads sliding off. Biagi charm bracelets come in a range of lengths to suit different wrist sizes from young adults to women. Before buying a Biagi bracelet you need to measure the circumference of your wrist but bear in mind the circumference of the bracelet can shrink as you add more charms. 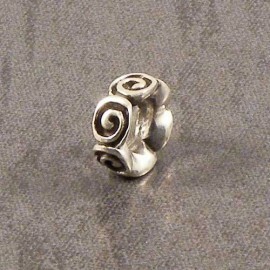 Refer to our choosing a Sterling Silver charm bracelet article to decide what is the best length for you. Each of our charm bracelets comes with either a complimentary Biagi black folding presentation gift box or a Chrysalis pouch. Carlo Biagi and Chrysalis Sterling Silver charm necklaces. Sterling Silver charms including Carlo Biagi and Chrysalis. Styles include animals and enamelled designs. Sterling Silver spacer charms including Carlo Biagi and Chrysalis. 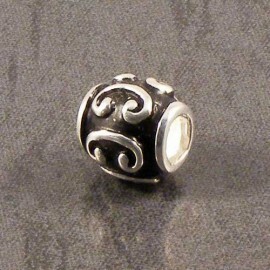 Ideal finishing touch to your bracelet. Sterling Silver and CZ charms including Carlo Biagi and Chrysalis. Add bling to your bracelet. 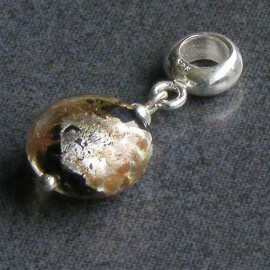 Sterling Silver and glass charms including Carlo Biagi and Chrysalis. Sterling Silver hanging charms including Carlo Biagi and Chrysalis. Add some variety to your bracelet. Sterling Silver decorative stop charms including Carlo Biagi and Chrysalis. 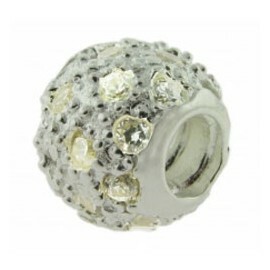 Prevent charms falling off your bracelet or necklace. Sterling Silver and gold charms including Carlo Biagi and Chrysalis. 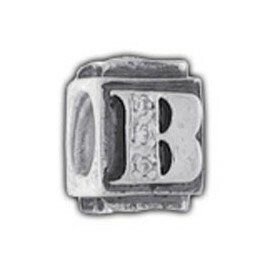 Sterling Silver initial letter charms including Carlo Biagi and Chrysalis. Personalise your bracelet or necklace. Sterling Silver sweetie charms including Carlo Biagi and Chrysalis. A beautiful 6.75 inch (17.1 cm) Carlo Biagi Sterling Silver rope bracelet with a bead clasp for easy opening/closing. The clasp has a double action clip to prevent it accidentally coming undone. A fabulous long 925 Sterling Silver Necklace by Chrysalis. This Chrysalis chain necklace comes together at the front, attached to a gorgeous two tone charm. 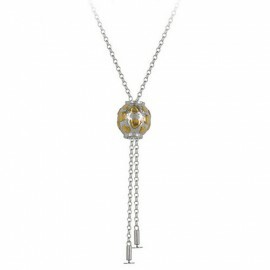 The Carlo Biagi Silver & CZ Clear Pave Ball is encrusted with clear CZ crystals for added sparkle.